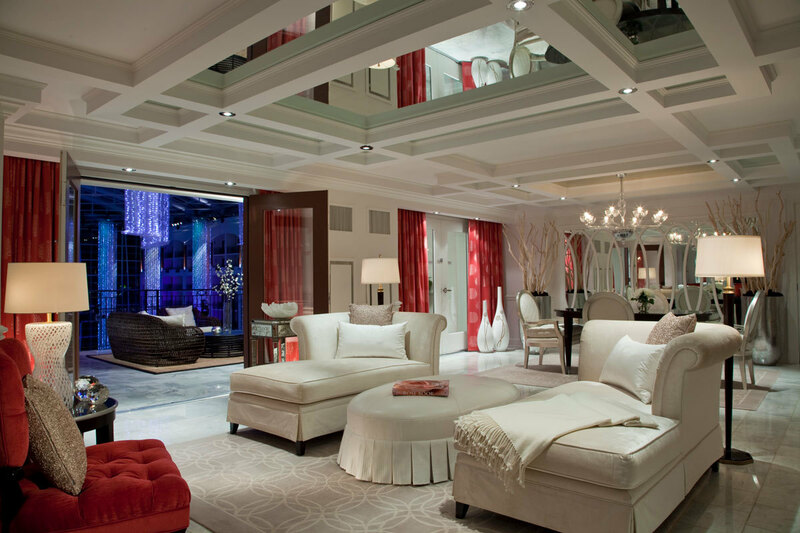 Get a glimpse of these private penthouses and ornate suites. Imagine walking on the same heated bathroom floor that Oprah once stepped on. Or sleeping in same bed as rapper Drake. The Ivy Hotel and the Four Seasons Baltimore are known to house high-profile visitors, but other high-end hotels around the world have secret rooms that most guests don’t even know about. These types of unlisted rooms are starting to get revealed, and Maryland has a few of its own. 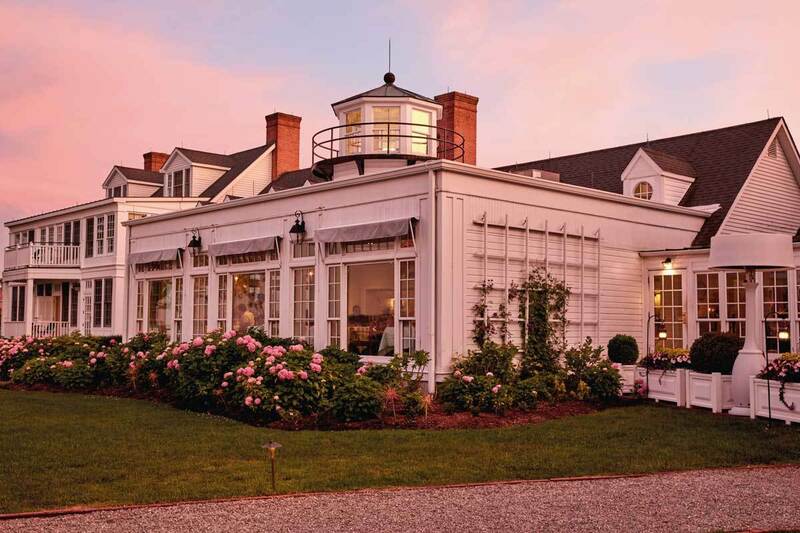 After doing a bit of digging (and having many pangs of envy), we’ve found some of the most luxurious hotel suites in Maryland that are exclusive to VIPs with hefty purses and high-class tastes. 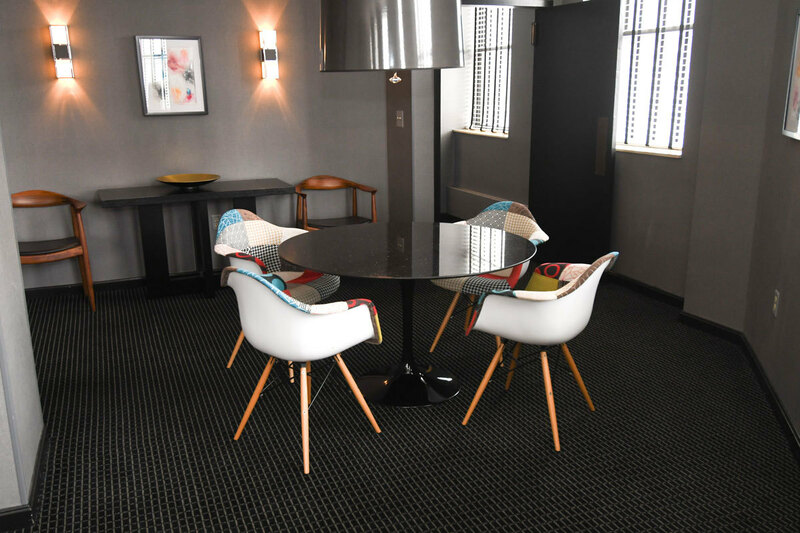 Located right Downtown and housed in the former B&O Railroad headquarters, this boutique hotel combines contemporary style with historic architecture. 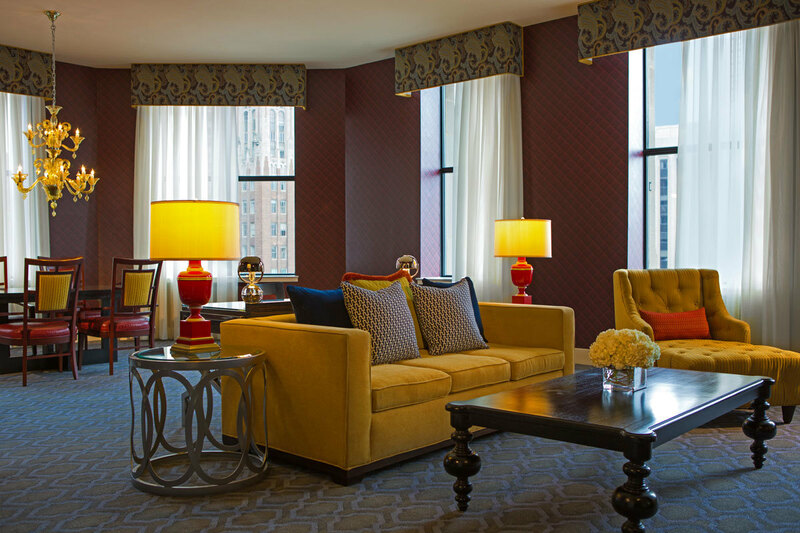 Each suite features color schemes of warm golds, vibrant blues, brilliant red lacquer, and touches of royal purple and green with beds dressed in lavish linens. But there is one suite that locals won’t be able to book without knowing who to contact. 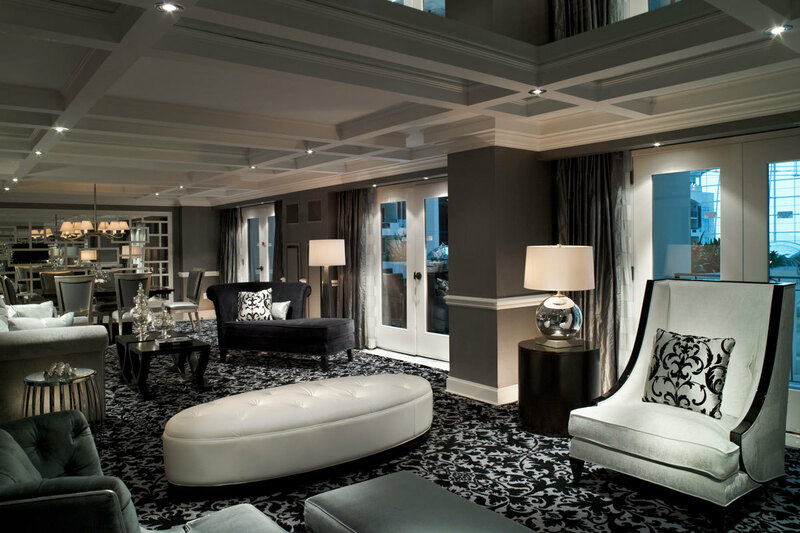 For $600 a night, the 1,400-square-foot Majestic Suite is complete with a separate living and dining room and connects to a King Premier room and Monte Carlo Queen room. It boasts 8-foot windows and 12-foot ceilings that showcase sweeping skyline views. It comfortably sleeps eight people and can accommodate a party of up to 20 people. This 23-story, 440-room hotel has four penthouses on its top floors. They range from 2,100-square-feet one-bedrooms to 2,600-square-foot two-bedrooms. Each unit features a full kitchen, living room, dining space, and two full baths. 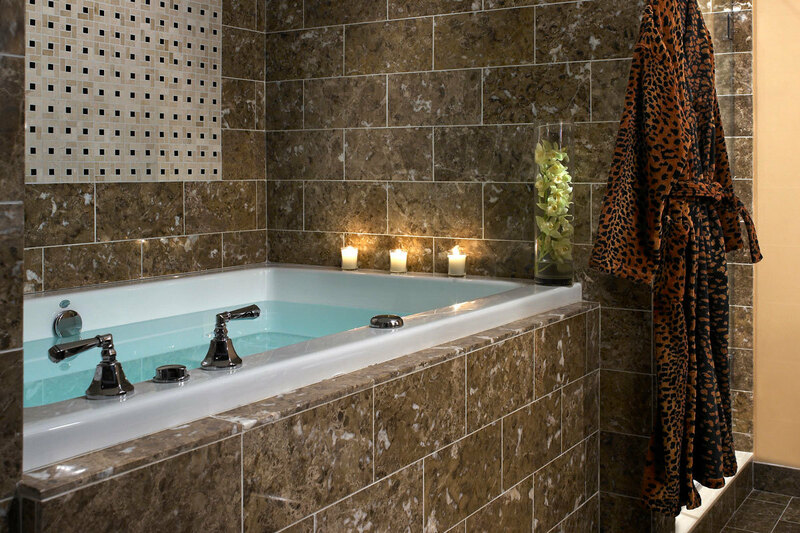 Guests who opt to splurge on the two-bedroom penthouse can enjoy specialty room with a Jacuzzi in the suite. 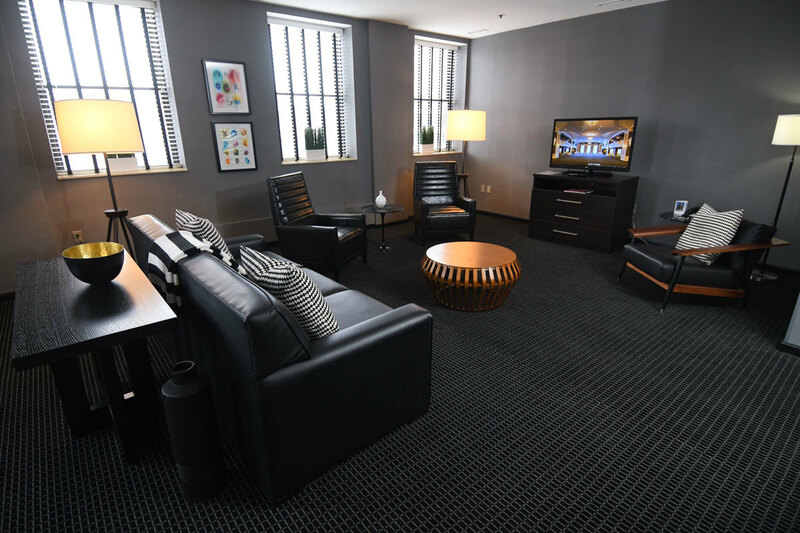 Penthouses are available for monthly rental for $3,600 and can be reserved nightly for as low as $750. If you want to take your stay to the next level, head to St. Michael’s for a “secret room” on a 55-foot Talaria Flybridge yacht. Guests may spend the night in the swanky captain’s quarters, boarding from the inn's private dock on the Miles River. 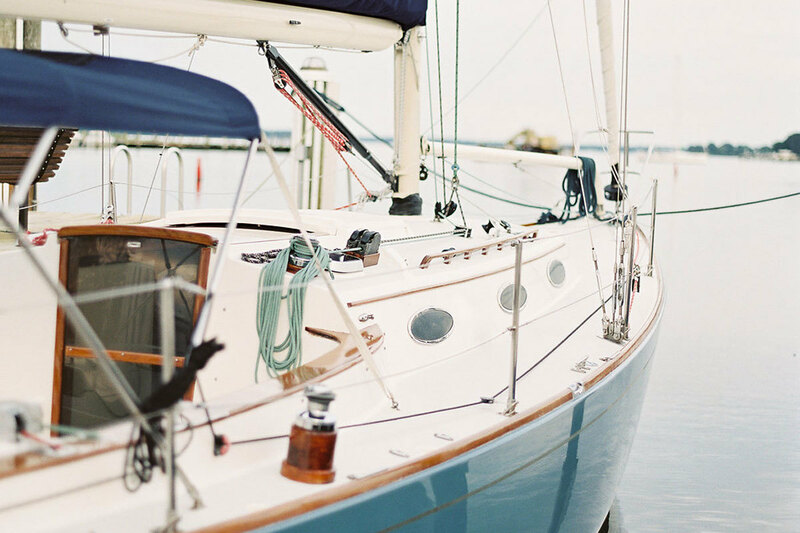 Cap the evening with sunset cocktails and wake up to a full breakfast on the yacht’s roof deck. This luxury resort and conference center is unique in several ways—it features an indoor rainforest, boutiques, and a spa. But guests won’t be able to find the hotel’s Presidential or Concept suites online—unless of course you’re a VIP. For a 1,700 square-foot Presidential suite, be prepared to spend a minimum of $2,500 per night to enjoy breathtaking views, ornate furnishings, and marble or hardwood-floor foyers.